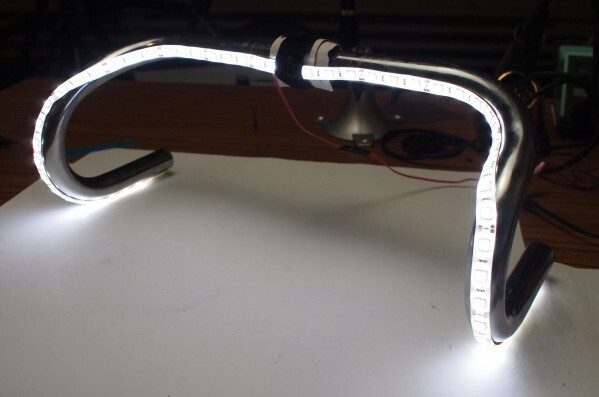 How-To: LED Bike Handlebars « Adafruit Industries – Makers, hackers, artists, designers and engineers! As soon as Ladyada and I saw Mitchell Silva’s GLOBARS (adablog post), we knew we had to make some glowing LED handlebars. Instead of cutting into the metal of your handlebars, follow our LED bike handlebar tutorial to affix a strip of LEDs to your bike underneath clear handlebar tape. Video on YouTube (please subscribe to our channel!) and Vimeo. 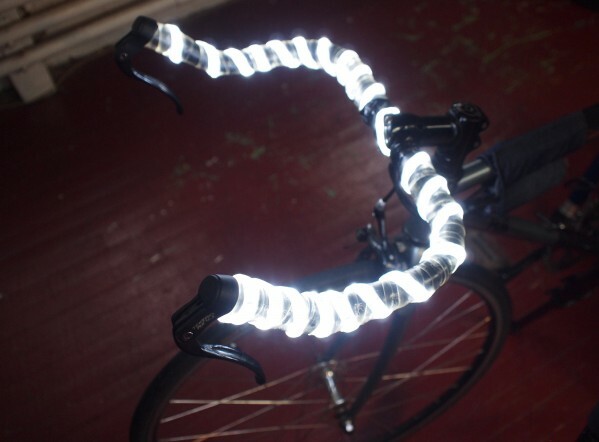 We also grouped the components into a special LED handlebar project pack – pick yours up in 1m or 2m length! Above is 1m along drop bars, below is 2m spiraled around bullhorns.